New CRPF chief Rajiv Rai Bhatnagar was accorded the ceremonial guard of honour. New Delhi: Senior IPS officer Rajiv Rai Bhatnagar today took charge as the new Director-General of the CRPF, days after the force lost 25 of its men in a deadly Naxal ambush in Chhattisgarh. 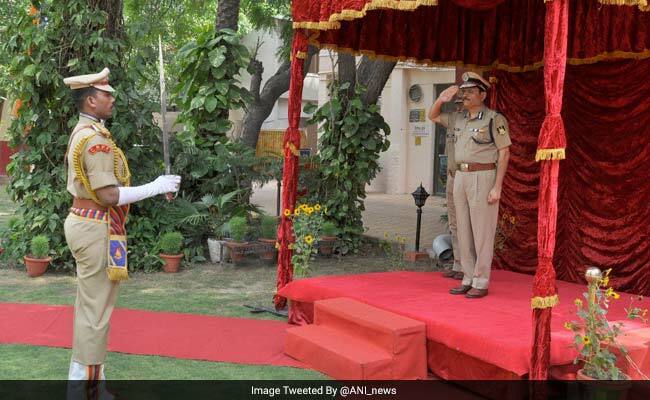 Mr Bhatnagar, 57, reached the Central Reserve Police Force (CRPF) headquarters at Lodhi road in New Delhi and took charge after he was accorded the ceremonial guard of honour. The government had issued orders for appointing Mr Bhatnagar, a 1983-batch IPS officer of the Uttar Pradesh cadre, as the new full-time DG of the force on April 26. The post had been lying vacant for close to two months after K Durga Prasad retired on February 28. Acting DG Sudeep Lakhtakia today handed over the baton to Mr Bhatnagar, who came back to India last night after attending a conference in Jakarta. Mr Bhatnagar was till now serving as the chief of the Narcotics Control Bureau (NCB). He will have a 32-month long stint as the head of the about 3-lakh personnel strong force as his retirement is scheduled in December, 2019. Soon after taking charge, he asked his officers to give him a briefing on the recent incidents in Chhattisgarh that claimed the lives of 37 personnel, including the one on March 11 where twelve men were killed in a Naxal ambush in Sukma in the Bheji area. The CRPF is the country's largest paramilitary force and is deployed as the lead force for conducting anti-Naxal operations and to render a variety of roles in the internal security domain.